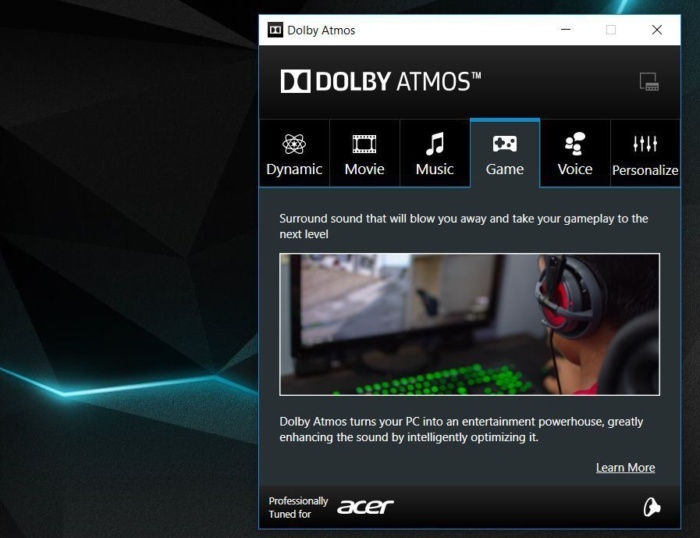 Laptops like the Acer Predator Titan 700 flat-out didn’t exist mere months ago. They couldn’t. Powerful gaming notebooks always demanded sacrifice, in the form of the back strain you’d suffer lugging the behemoths around. 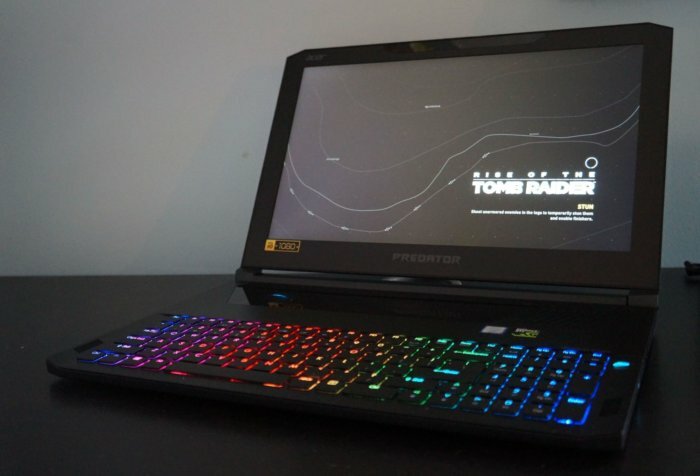 But Nvidia’s energy-saving Max-Q technology allowed Acer to imbue the Predator Triton 700 ($3,000 on Amazon) with powerful GTX 1080-class graphics in a slim, trim 5.27-pound package that measures just 0.74-inch thick. The beast is downright svelte for a gaming rig with that sort of firepower. Clad in an aluminum chassis with glittering RGB keys, the Triton 700 makes one hell of a first impression—and it only gets better once you actually start gaming. This is one of the most impressive gaming laptops ever. But the touchpad. Why the hell did Acer do this with the touchpad? Yes, that glass strip below the display is the Triton 700’s touchpad. To be fair, the transparent trackpad set over the keyboard looks stunning, providing a faintly illuminated glimpse of the potent hardware lurking within. Let’s talk about that hardware first. The Acer Predator Triton 700 joins the Asus ROG Zephyrus ($2,699 on Amazon) in the GTX 1080 Max-Q’s vanguard. We’ve covered Nvidia’s technology in-depth in both a standalone Max-Q article as well as the ROG Zephyrus review, and won’t retread the same ground here. In a nutshell, Max-Q uses careful hardware and software tuning to reduce the GTX 1080’s TDP from 150 watts all the way down to roughly 100W, which allows it to fit into far slimmer laptops than before, like the Triton 700. The process requires the Max-Q GPUs to run at much lower clocks than a standard GeForce GTX 1080, which does result in slightly lower frame rates. You won’t notice it with the way the laptop’s configured, though. Nvidia’s Max-Q and G-Sync deliver a solid gaming combo in the Predator Triton 700. 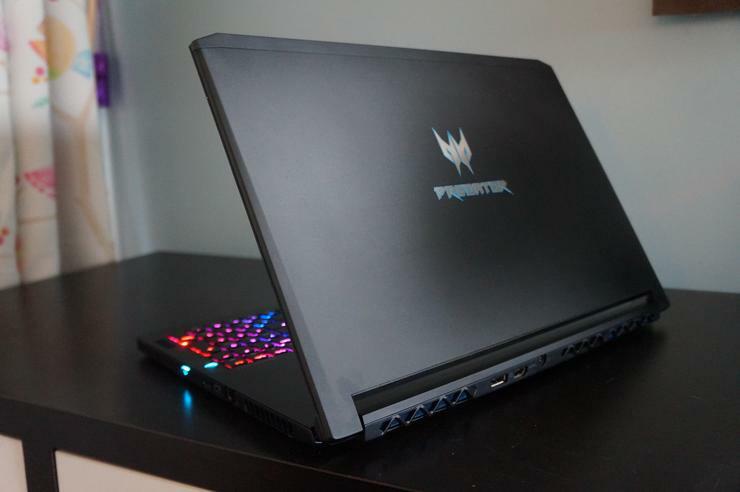 Acer equipped the Predator Triton 700 with a crisp, clear 1920x1080 IPS display running at a blazing-fast 120Hz to take advantage of the GTX 1080’s fearsome firepower. The screen looks great, with wide viewing angles and a solid 311 nits' brightness, but most importantly it includes Nvidia’s G-Sync technology. G-Sync synchronizes the refresh rate of your system’s GPU and display, which results in buttery-smooth gameplay free of ugly tearing or stuttering. Between the GTX 1080 Max-Q and the G-Sync display, gaming is an utter joy on the Acer Predator Triton 700. Gunning through Destiny 2 at extremely high frame rates never got old—at least with a mouse. An option for a 4K or 1440p display would be nice, but both G-Sync and Max-Q require careful technical tuning, so I can’t begrudge Acer for sticking to this single superb setup. The rest of the Triton 700’s loadout matches the graphics hardware’s quality. Inside, you’ll find a potent quad-core Intel Core i7-7700HQ, paired with 32GB of DDR4/2400 memory and a nice surprise: Not one, but two 256GB NVMe SSDs configured in RAID 0 for lightning-fast data transfer speeds. The RAM capacity and RAIDed SSDs are a bit overkill for a gaming laptop, but damn the Triton 700 handles well—and the extra oomph gives Acer’s Predator a leg up over the similar ROG Zephyrus in those regards. With such powerful innards, and the HDMI and DisplayPort connections on the rear, this rig could function as a portable VR system, too. Ports on the rear, including the power connection. Ports on the left side. 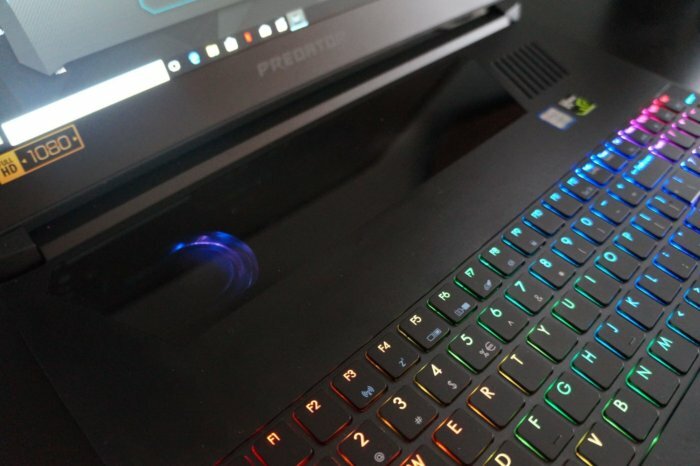 All in all, the Acer Predator Triton 700 and Nvidia’s Max-Q tech prove truly impressive. This beast is packing some serious firepower, and it’s wild that this much high-class hardware fits inside a package this slim. Again: A laptop like this wouldn’t—couldn’t—have existed mere months ago. But Acer dropped the ball with the Predator Triton 700’s touchpad. It’s awful. Not in every aspect. The Gorilla Glass touchpad, situated just underneath the display, shows off one of the system’s Aeroblade fans and glimpses of the copper heatpipes that keep the GTX 1080 cool, gently illuminated by a blue LED light. It sure is pretty! And the touchpad itself is smooth and responsive. I can’t get over its placement though. This isn’t the first time we’ve seen a gaming laptop slap its touchpad above the keyboard, but it’s still a terrible idea. You could argue that a great gaming mouse is all but obligatory for a notebook like this but I don’t buy it. Even simple acts like slinging emails and juggling Office documents prove frustrating with the weird trackpad position; it’s hard to reach comfortably, and years of muscle memory scream in frustration with every use. This touchpad is a scarier foe than anything you’d fight in a PC game. But it gets worse. Sure, seeing the glowing fan underneath looks badass, but in practice placing the touchpad over critical components results in hot temperatures during gaming sessions—uncomfortably so. You’ll want to let the touchpad cool down before using it again, and don’t even think about playing a game that could theoretically work well enough with a touchpad (a CRPG like Wasteland 2, say) on this. You won’t get far. Placement isn’t the touchpad’s only problem either. Only a small section of the glass actually functions as a touchpad. Markers etched in the glass ostensibly show the boundaries, but they’re so faint you can only see them while standing over the laptop. You can’t see them while sitting at a desk with the laptop in front of you. All too often my cursor froze as my fingers crossed the practically invisible line. It makes using this awful touchpad even more awful. The touchpad lacks physical buttons as well (obviously). I’ve used enough MacBooks and Chromebooks that pressing down two fingers to summon a right click wasn’t a mental hurdle, but it’s impossible to click and drag—I literally couldn’t select text or manually move items on the desktop. The Predator Triton 700’s mechanical keyboard is the yin to the touchpad’s yang. It’s a shame because the Predator Triton 700’s other input rocks. 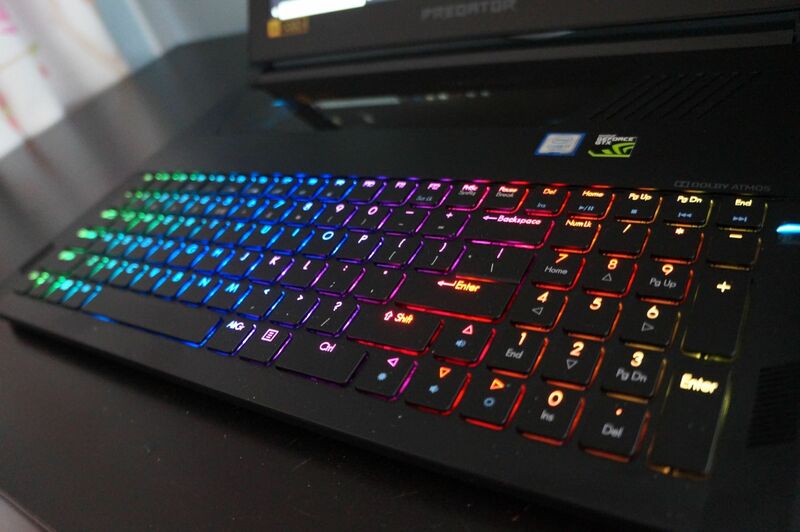 Acer squeezed a full mechanical keyboard into the laptop and it’s an absolute joy to use, with strong tactile feedback, deeply satisfying clicks, and per-key RGB backlighting that you can customize in Acer’s preloaded PredatorSense app. (More on that later.) The Triton 700 even packs a dedicated number pad section—a downright luxury in laptops. I would’ve preferred Acer to use the space for its touchpad, but it’s nevertheless a nice inclusion. The audio’s augmented by preloaded Dolby Atmos software. The volume gets loud, and while the sound is wee bit unbalanced and brassy compared to dedicated headphones due to the lack of a deep bass punch, the speakers hold up well overall for a laptop. All that said, I universally recommend a good pair of gaming headphones when you’re playing on a notebook. Built-in speakers just can’t compare.